In our house my husband does most of the grilling, I think they just like the idea of cooking over the open fire. When we entertain it is the perfect place for him to escape with the husbands and enjoy a cocktail and think they are contributing to the dinner party! 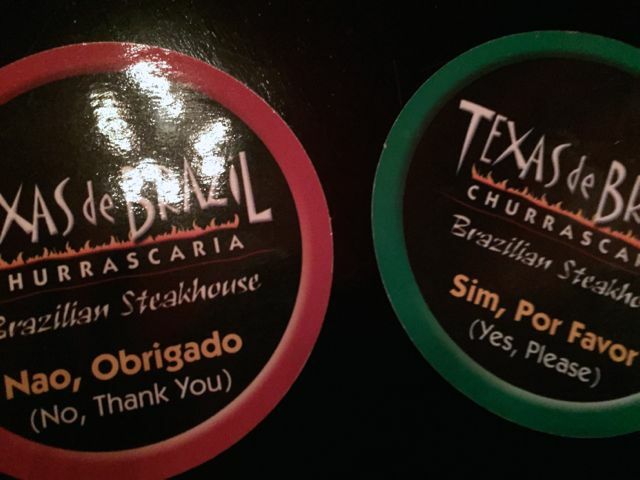 Give Dad a break this Father’s Day and let Texas De Brazil do the grilling. 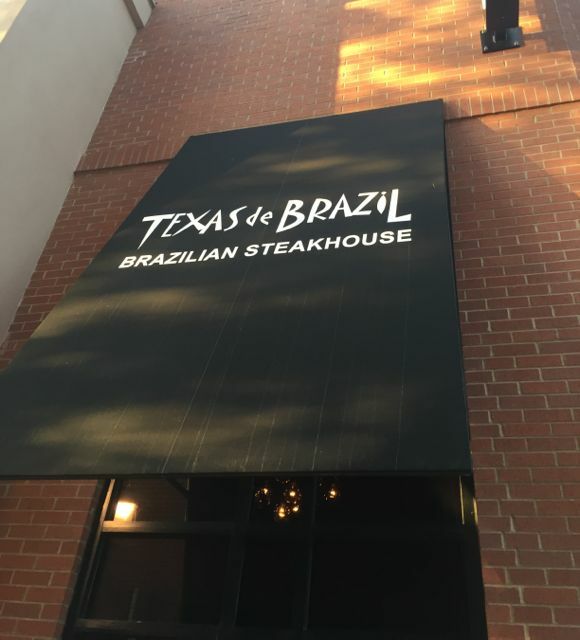 If you are not familiar with Texas de Brazil, it is a Brazilian “churrascaria” (or steakhouse) with a distinctly Texan spin. Offering Brazilian themed drinks like these. 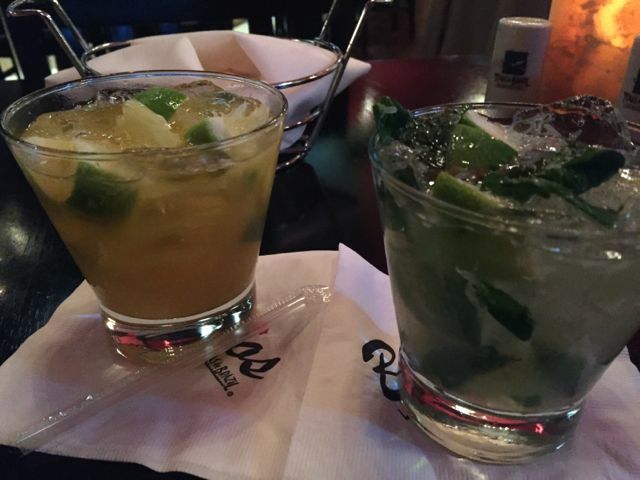 My husband had the Caipirinha and I had the Brazilian Mojito. After you order your drinks, you then head over to a large salad bar that is different than any other salad bar I have eaten from. he bar is filled with 50-60 item seasonal salad area that includes appetizers, gourmet vegetables, soups, and salads. But don’t get filled up here there is a lot more to come. You are given a card, one side green, one side red and when you have it on green watch out. 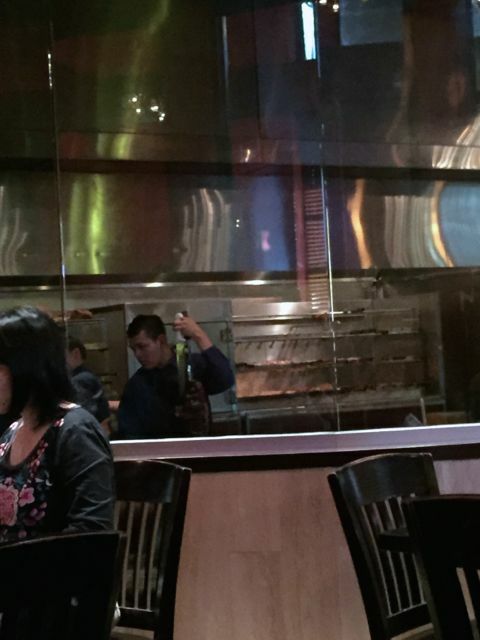 They have servers delivering you 16 amazing cuts of Brazilian-style flank steak, lamb, pork, chicken and sausage. 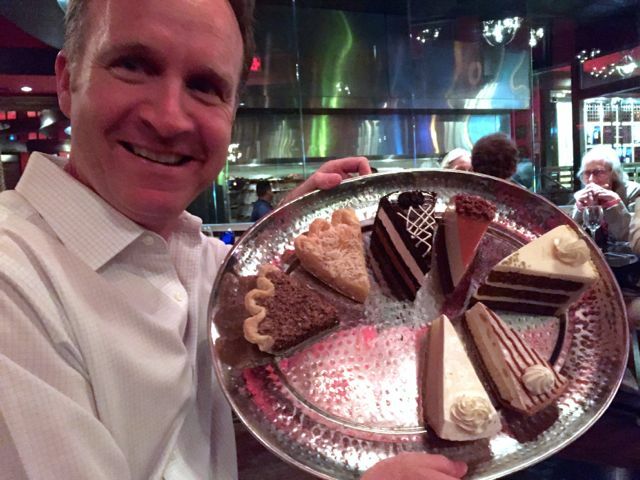 Even though they offer you a small slice, it starts to add up in your belly. My favorite was the Garlic Picanha and my husband could not get over the lamb chops. Something I don’t eat or make at home so this was a big treat. They salt the meats to sear in all the flavors and each piece of meat was cooked to perfection. You can always decline an offering and request a return of your favorite. Guessing those on a Paleo Diet would love it here. Even when we thought we could not eat another morsel, the dessert tray was presented. 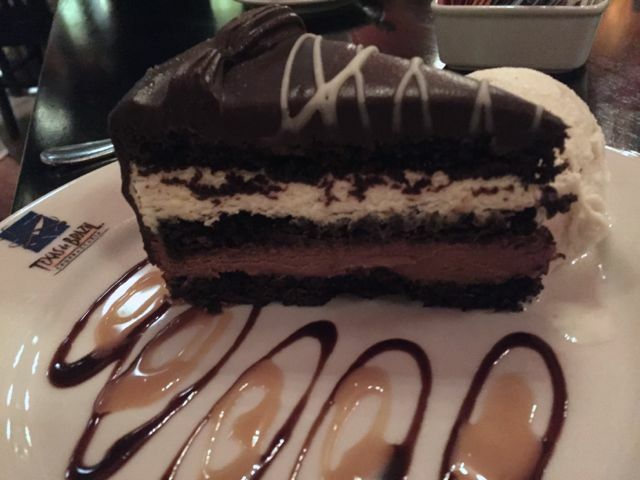 My husband and I decided to share their Chocolate Mousse Cake The perfect ending to a delicious meal. Be sure to wear elastic pants and probably not want to look at a piece of steak for at least a week. 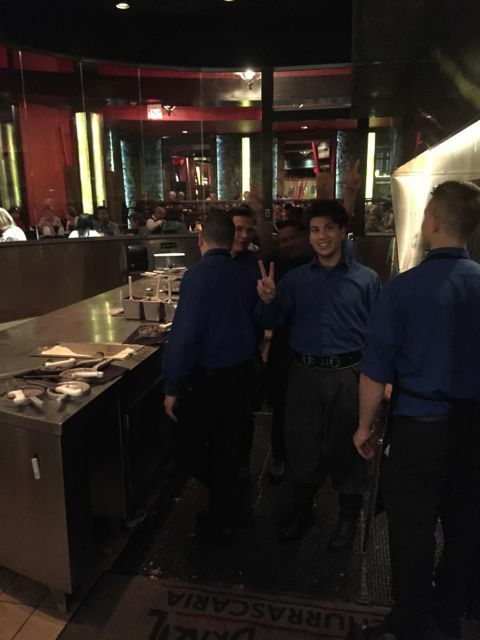 The staff could not have been nicer, so attentive and making sure our meat was prepared to our liking. They also were very helpful in helping us make our decisions on drinks and meats. Dad may love the grill but this Father’s Day let someone else do the hard work and make reservations at Texas De Brazil.